5 Bedroom End of Terrace House For Sale in Nuneaton for Asking Price £265,000. 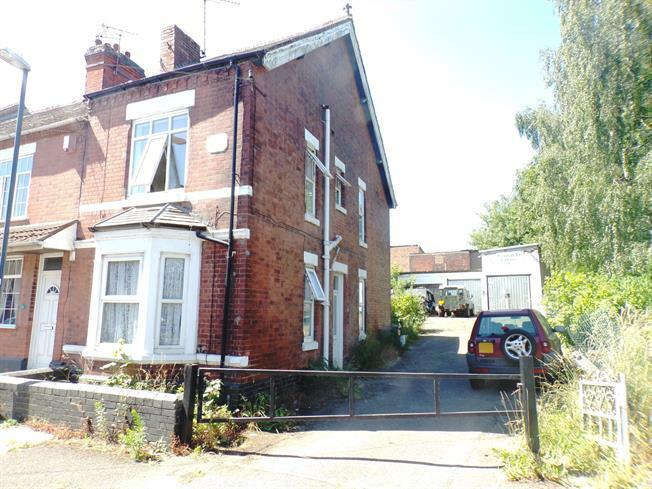 Five bedroom house of multiple occupancy with a car workshop which planning permission which has now expired, to build 7 flats with a mixture of 1 and 2 bedrooms. The rooms are expected to rent between 400 - 500, giving you a minimum yield of 13.7%. For more information please call us.